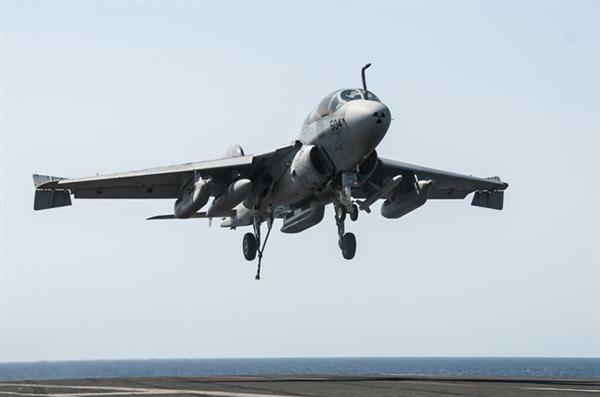 The US Central Command says three air strikes south and southeast of Deir ez-Zour have destroyed four ISIL tanks and damaged another. Activists are reporting that ground-to-ground missiles have been fired on Jobar, in eastern Damascus, for the first time since the beginning of the war. They also say regime fighter jets are shelling the district. The Free Syrian Army, Christian opposition fighters and some Kurdish armed groups have signed an agreement, coordinated by US officials who have been meeting with opposition representatives in Turkey for two days. The US is holding this meeting meeting trying to put a face to the Syrian opposition, to show the world that the US does in fact have partners on the ground. But the rebel commanders attending that meeting are linked to the Free Syrian Army and the Free Syrian Army really exists in name only. They don't have strong fighting forces on the ground. 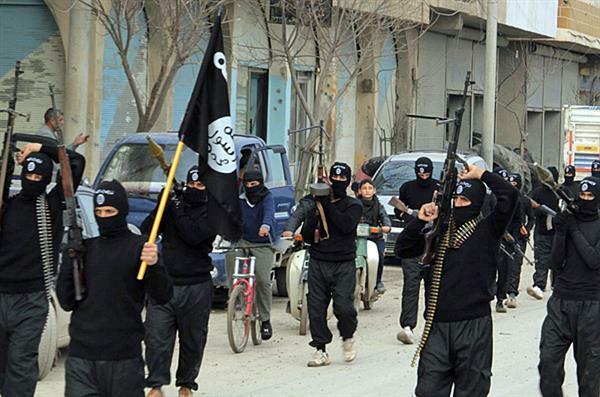 They will not be able to take on on ISIL - they've tried that in the past, declaring war on ISIL last January. The most powerful groups on the ground that could face ISIL are the Nusra Front, the Syrian al-Qaeda branch, and Ahrar al-Sham, a conservative group that has kind of remained quiet about the air strikes. Activists say oil facilities held by ISIL in northern Syria targeted by US-led coalition for second day. More than 200 fighters have joined ISIL in Aleppo province since President Obama said the US would strike the group in Syria, the Syrian Observatory for Human Rights says. At least 162 people joined the group in northeast and eastern Aleppo in the week after Obama's speech on September 10, the Observatory said. An additional 73 men had joined the group on September 23 and 24 in the northeast Aleppo countryside since the start of the strikes, the Observatory said. Rami Abdelrahman who runs the Observatory said most of the new men came from the Nusra Front and were mostly Syrian, and the men who joined in the week after Obama's speech included 15 nationalities. Fighting between Syrian Kurds and ISIL is continuing around the town of Kobane. @StefanieDekker is on the Turkish side of the border, which about 150,000 people have crossed to escape the fighting. Some men try to go back to defend their town. Activists say seven people have been killed after a government helicopter dropped barrel bombs at al-Sakhur district in a rebel-held part of Aleppo city. Protests marches against the strikes on ISIL and the Nusra Front have been held in several parts of Syria today. In Kafr Daryan, a village in Idlib that was targeted by coalition strikes, protesters held banners that read "Stop shelling civilians" and "Nusra Front represents me". In Taqad village, in Aleppo province, people chanted for the Nusra Front, "No for war against rebels, the biggest criminal is Assad". The Pentagon spokesperson says the US-led coalition has launched 43 strikes on Syria since the operation against ISIL there began on Tuesday overnight. The Local Coordination Committees activist network are now reporting that "[Assad] warplanes launched an air strike on al-Rashid secondary school's playground in Raqqa". ISIL uses the building as one of its many headquarters. According to local activists, these offices were evacuated prior to the start of the US-led coalition air strikes. No idea why Scribble decided to post that last message as a quote. I am not the type to quote myself. And it should have said 15 tanks. Anyway for those readers who may be wondering, the Turkish tanks sent to the border with Syria appear to be M60T Pattons, a Turkish upgraded variant of the US Cold War-era MBT. Our correspondent Stefanie Dekker says they came from an army base behind the refugee camp opposite Kobane (Ain al-Arab). 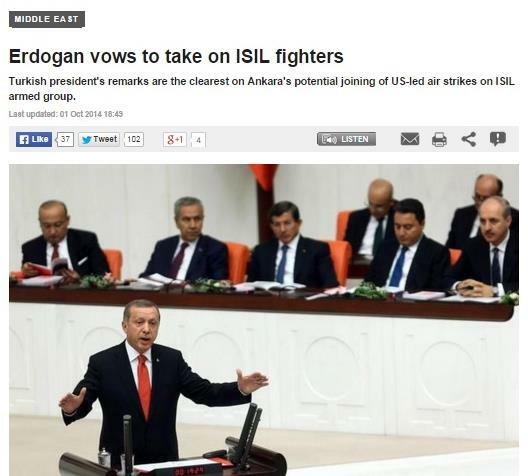 Turkey wants to persuade the anti-ISIL coalition that military solution alone will not be enough. 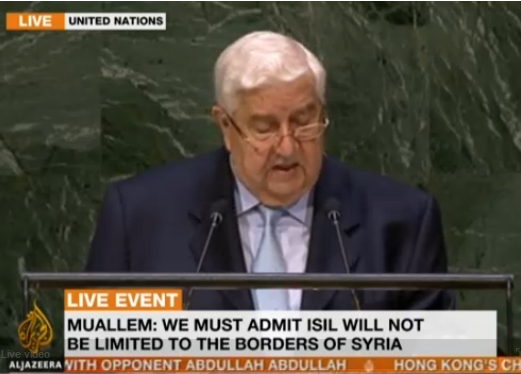 Wallid Muallem, Syria's foreign minister, is speaking at the UN. I'll have an audio recording of the speech up as soon as it's finished. 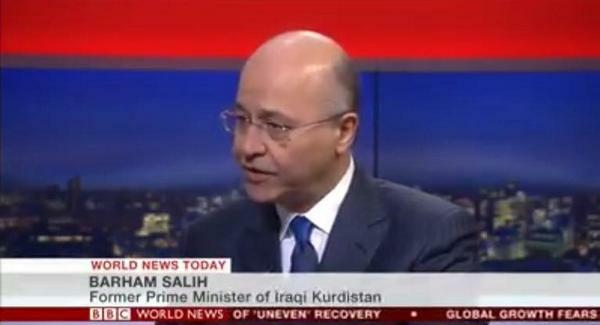 He's calling for a united campaign against ISIL. Okay, he's still talking. I've clipped an eight minute segment where he talks about the threat of ISIL beyond Syria and Iraq, and attacks the exiled opposition Syrian National Coalition. Interestingly he doesn't do much condemning of the US attack in his country. It'll be uploaded in a few minutes. Meanwhile, the US central command has just sent the world its latest report on attacks on ISIL. And here's our diplomatic editor James Bays and Marwan Bishara, our senior political analyst, discussing the UN speech by Wallid Muallem. Israel's Prime Minister Benjamin Netanyahu has warned the United Nations that a nuclear-armed Iran would pose a far greater threat than the armed group Islamic State of Iraq and the Levant (ISIL), which he compared to the Palestinian group Hamas. Al Jazeera's James Bays reports from New York. 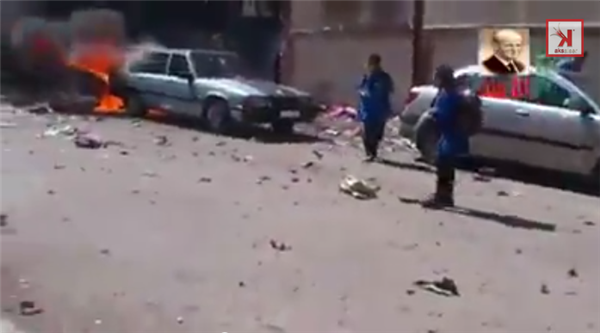 Some stills from the footage of the aftermath of the attack in Homs on a primary school. Al Jazeera won't be linking due to its graphic content, but those who wish to watch can find it on Youtube. 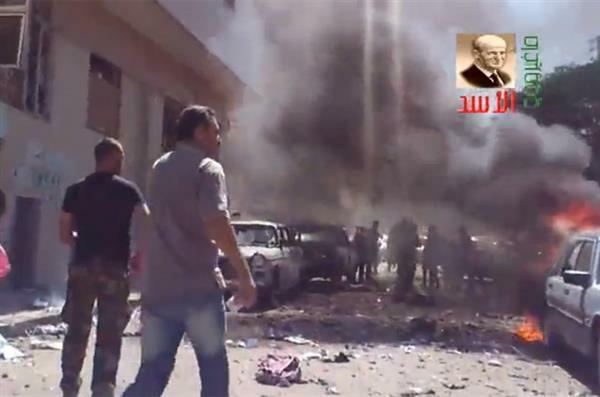 Double bombing outside primary school in the central Syrian city kill at least 22 people, including 10 children. Turkey's president promised to fight ISIL and "other terrorist organisations", in his clearest remarks yet that Turkish forces could join a US-led coalition battling the group in Iraq and Syria. Recep Tayyip Erdogan's speech on Wednesday comes a day before parliament votes on motions that may grant the government authority to do send forces into both neighbouring countries. UN official says 15 children given muscle relaxant by mistake by NGO, in a case of "basic human error". At least 41 children are among 45 people killed in a twin bombings outside a primary school in the government-controlled city of Homs in central Syria, according to the Syrian Observatory for Human Rights. 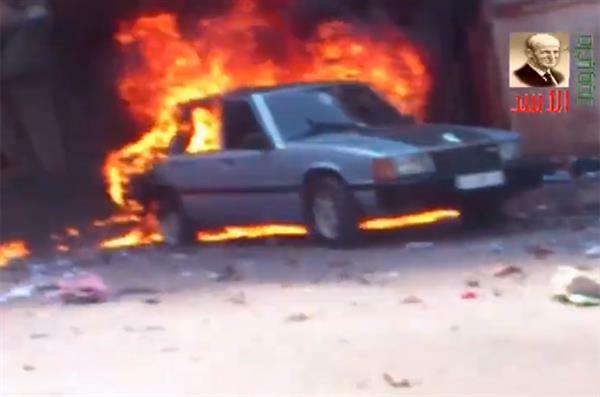 Al Jazeera's Zeina Khodr reports from neighbouring Lebanon. Last night clashes between Kurdish YPG fighters and ISIL reached closer than 1km to Kobane, according to YPG activists in the town.. The YPG command said they managed to repel the ISIL attack and pushed the group back. YPG say they have set up strong defences in Kobane, including trenches around the town, planting booby traps at the entrances and inside the town, and deploying snipers on the southern hills. The activists also say one civilian was killed and other injured as a result of ISIL artillery shelling on Kobane yesterday. This report that we published a few days ago gives an idea of how close to the border fighting is raging. "Echoes of gunfire frequently ring through the sky, while Kurds in the Turkish district of Suruc cheer on their brethren. "Kobane! Kobane!" they cry as the Kurds fire on ISIL. Passing pairs of binoculars around, they all take turns to spot black-clad ISIL fighters on one side and Kurds on the other - although in some areas, the battle is so close they do not need binoculars." More than two dozen rights groups have called for the release of Syrian human rights lawyer Khalil Maatouq, two years after his "enforced disappearance" in Damascus. 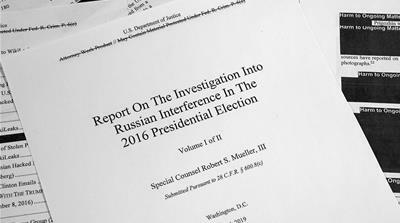 The appeal was co-signed by 26 human rights organisations, including Amnesty International, Human Rights Watch, Reporters Without Borders and several regional watchdogs. Maatouq, executive director of the Syrian Centre for Legal Studies and Research, and his assistant Mohammad Zaza disappeared two years ago as they were heading to their office in the Syrian capital. "It is believed that they were arrested at a government security checkpoint solely due to his legitimate and peaceful work in human rights," said the joint statement. 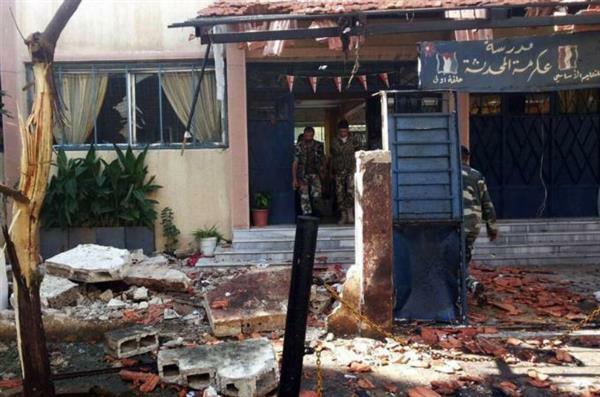 "Multiple reports have confirmed that the two men are being held by the Syrian authorities, who appear to move them among various detention facilities in Damascus, including the 'Palestine Branch', a detention centre run by military intelligence," it added. Activists report coalition strikes targeting ISIL-held areas overnight that resulted in causalities in al-Mayadeen in Deir ez-Zour, Manbij and Jarablus in northeastern Aleppo, and Tal Abyad in Raqqa, near the Turkish border. 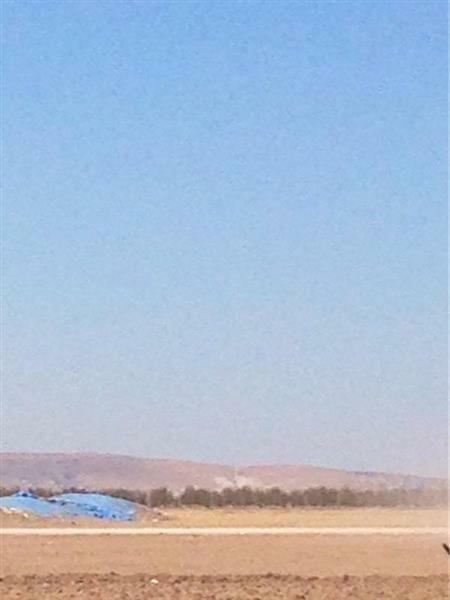 Big explosion seen in built-up part of western #kobane #Syria, think #ISIL trying to take hill overlooking Kobane. Good evening from Doha. 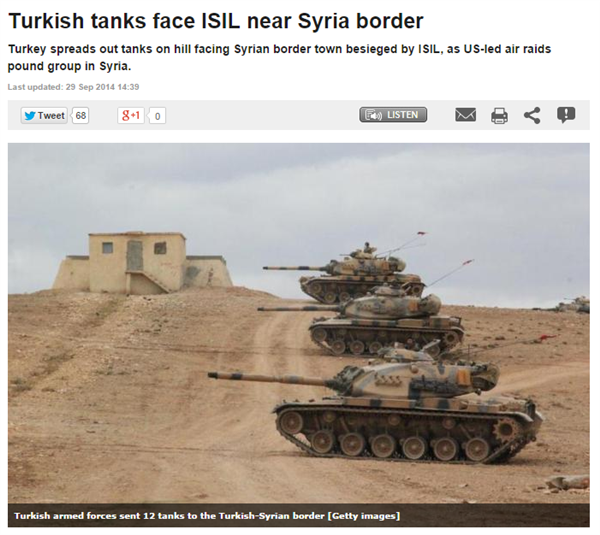 ISIL fighters are reported to have pressed further towards Kobane, the Syrian border town near Turkey. Our correspondent on the Turkish side of the border reports heavy shelling and gunfire today.Our sister channel AJ Arabic says that four US-led air attacks on ISIL stopped the group pushing into the town last night. Turkey has today criticised comments by the US vice-president, Joe Biden, that the US's allies were "the biggest problem" in Syria and that Turkey had let too many people slip into Syria to fight. Turkey's president Recep Tayyip Erdogan says Turkey has never allowed foreign fighters through to Syria or supported ISIL. Erdogan said: "Biden is history to me if he really used those words on this subject... we have never provided any support to ISIL nor any terror group during that period when I was prime minister. No one can prove that we did". Biden, known for his counter-intuitive statements, made his speech on October 2 at the Kennedy Forum at Harvard University. Here's the speech, but be warned: it's long. For wonks only. 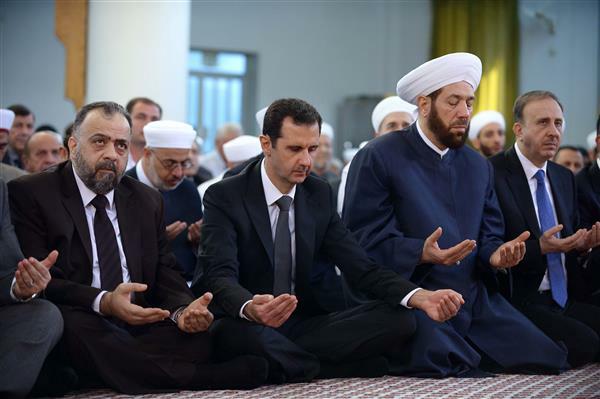 Another picture of Bashar al-Assad making a rare public appearance, attending Eid al-Adha prayers in a mosque near his home in Damascus. 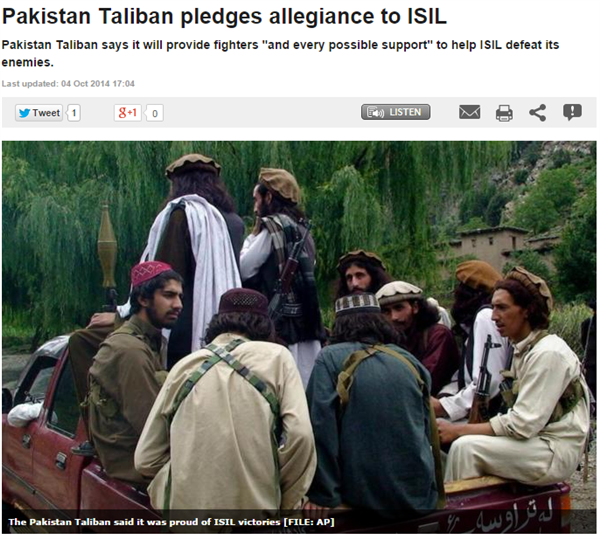 The Pakistan Taliban has said it is supporting ISIL and will send it fighters and all support possible. Read Al Jazeera's story here. A mortar that crashed into a house on Turkish territory just a few kilometres from a border area inside Syria where Kurdish fighters are battling ISIL has wounded five people, medical sources told Reuters. An activist group and a Kurdish official say gunmen defending a Syrian town near the border with Turkey have repelled a wide offensive by IS fighters. The Britain-based Syrian Observatory for Human Rights and a statement by the Kurdish force, known as YPK, say more than 45 fighters on both sides were killed Sunday near the town of Kobani. 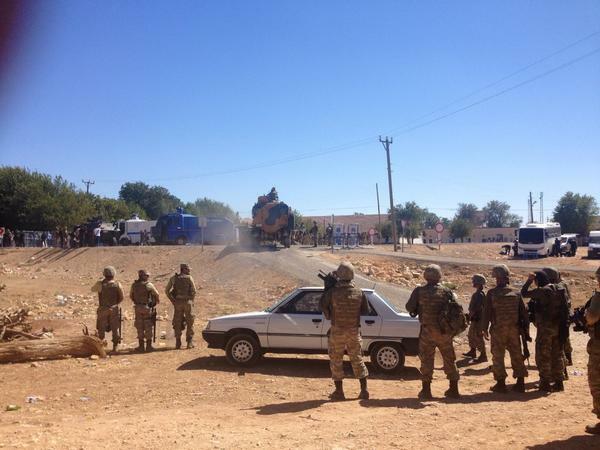 The Turkish security forces on Monday used tear gas to push dozens of reporters and Kurdish civilians away from the border zone close to intense fighting for the besieged Syrian town of Kobane. The armed forces employed tear gas for the second day in a row to push people back from the border area which has become increasingly dangerous owing to mortars fired from Syria, an AFP correspondent reported. Opposition fighters seize Al Harra hill, south of Damascus, after hours of fighting with government forces. Syria has declared four chemical weapons facilities it hadn't mentioned before, a special representative of the UN secretary-general told the Security Council on Tuesday. The news heightened concerns that the Syrian government hasn't been fully open about its chemical weapons program. Diplomats said Sigrid Kaag told them during closed consultations that three of the facilities are for research and development and one is for production, and that no new chemical agents have been associated with the four sites. Al Jazeera has learned that nine people have been killed, when protesters demanding more Turkish action in the town of Kobane in Syria, clashed with police. More details soon. 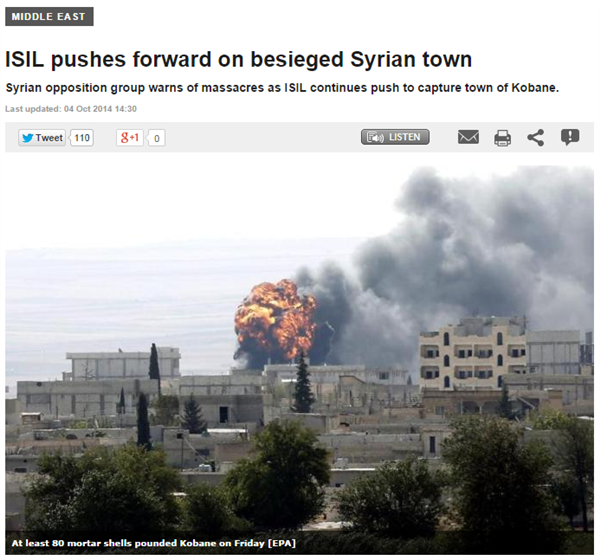 Warplanes believed to be of the US-led coalition bombed positions of ISIL near Kobani. One airstrike, visible from the border, hit a hill and an open space near the town. 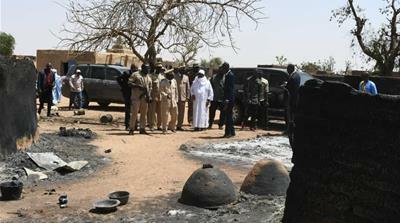 Meanwhile, heavy gunfire was heard from inside the town in a sign of fresh clashes. The Britain-based Syrian Observatory for Human Rights said most of the fighting as in the town's Kani Arban neighborhood. 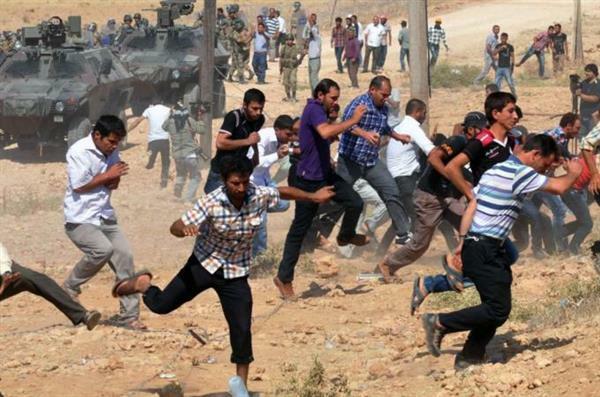 There have been more confrontations between Kurdish protesters and police across Turkey. The demonstrators are accusing the government of not doing enough to help the Kurdish fighters defending the town of Kobane against ISIL. 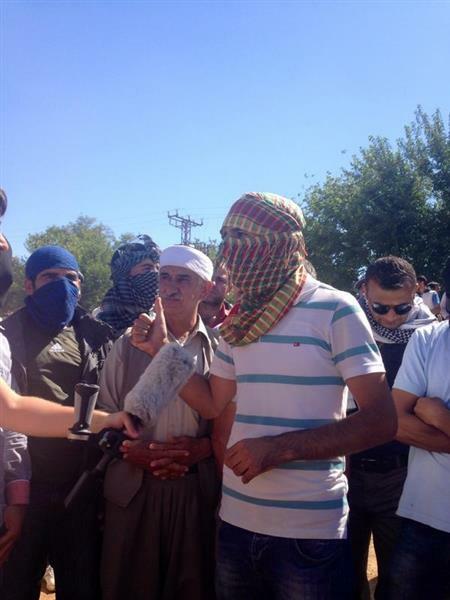 Al Jazeera's Bernard Smith reports from Diyarbakir in Turkey. The Syrian Observatory for Human Rights reports 9 airstrikes by the US-led coalition in Kobane and outskirts of the bordering town. There are grave fears that the Kurdish-controlled northern Syrian city of Kobane might fall into the hands of the Islamic State of Iraq and the Levant (ISIL). 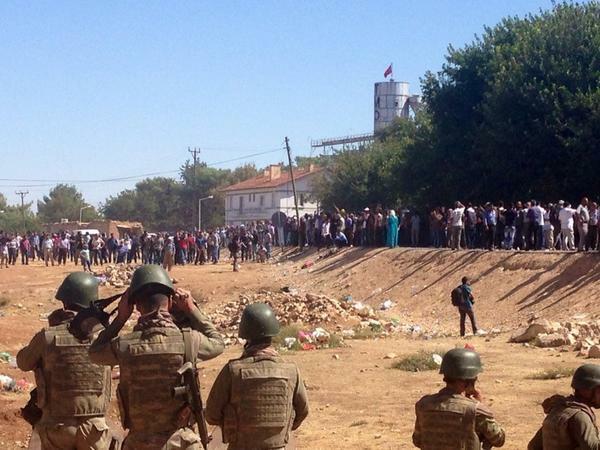 Thousands of Kobane residents, who ran away from war, are now refugees in Turkey, just across the border. Al Jazeera's Stefanie Dekker reports from the Syrian-Turkish border. besieged Kurdish town of Kobane, near the Turkish border crossing with Syria, a monitoring group and Kurdish sources said. The attack took place in a northern district of Kobane, which has been the scene of heavy clashes between Kurdish forces and ISIL fighters. Idris Nassan, a Kurdish official in Kobane, said two Kurdish fighters had been wounded during the suicide bomb attack, which appeared to have been aimed at clearing a way for the ISIL to advance further into the town. Four children have been killed and several injuries were reported during air strikes in the suburbs of Maarat al-Numan on Thursday, the Syrian Observatory for Human Rights reported.